It´s very difficult to specify when this new "era" began, but one thing is true, we´re living the beginning of a new era where we can control our devices with a simple gesture. 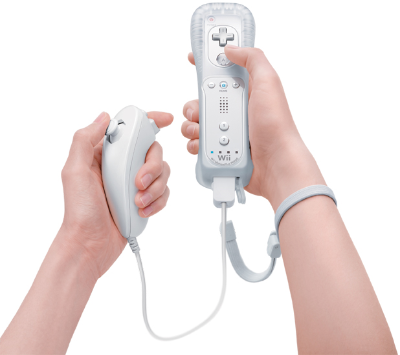 When we start talking about gesture control, we think about in the Wii remote (also known colloquially as the Wiimote), the wireless control that Nintendo presented in 2006 as a new way to play videogames. A main feature of the Wii Remote is its motion sensing capability, which allows the user to interact with and manipulate items on screen via gesture recognition and pointing through the use of an accelerometer and optical sensor technology. Launched in November of 2010, Microsoft Kinect was revolutionary for all the game industry because it was the first time that we could play a game with our body without the need of a game controller. (Of course that the most enthusiastic PlayStation fan will affirm that the EyeToy was first). Kinect sensor is a horizontal bar connected to a small base with a motorized pivot and is designed to be positioned lengthwise above or below the video display. The device features an "RGB camera, depth sensor and multi-array microphone running proprietary software", which provides full-body 3D motion capture, facial recognition and voice recognition capabilities. This device was not only used for games but also for serious purposes, like medicine and education. But today we can find other devices, not only for game use, but also to control our communication and entertainment devices. 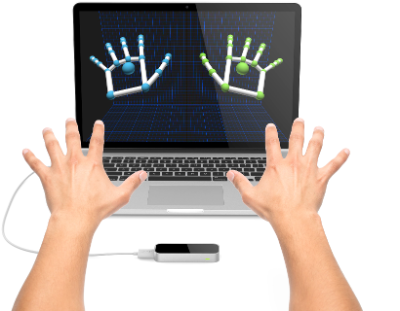 Leap Motion is a small computer hardware sensor device that supports hand and finger motions as input, analogous to a mouse, but requiring no hand contact or touching. It was designed to be placed on a physical desktop, facing upward. Using two monochromatic IR cameras and three infrared LEDs, the device observes a roughly hemispherical area, to a distance of about 1 meter. 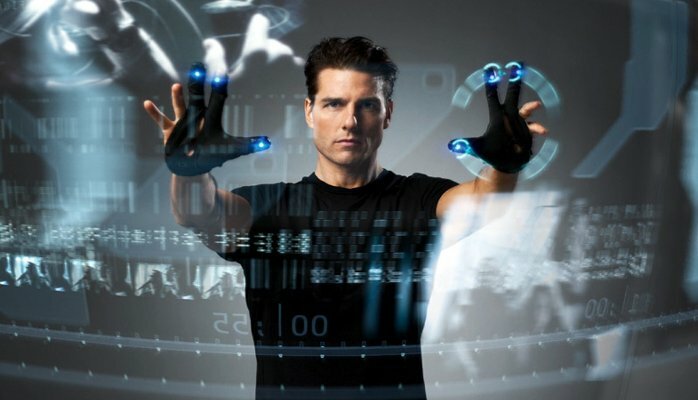 The LEDs generate a 3D pattern of dots of IR light and the cameras generate almost 300 frames per second of reflected data, which is then sent through a USB cable to the host computer, where it is analyzed by the Leap Motion controller software using complex mathematics methods. 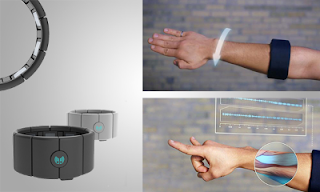 In 2013, Thalmic Labs presented Myo, which provides gestures control reading the movements of your muscles. Using motion and muscle sensors, is able to track your movements and gestures into input commands. The result is a hands-free control system that will work with your computer, smartphone, tablet, television, and even a robot. 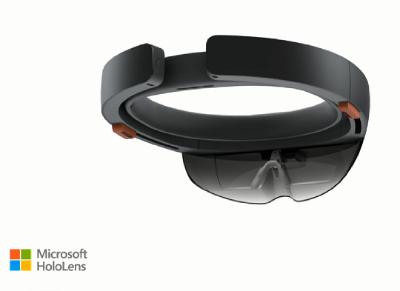 For the end, we have the last Microsoft creation, the HoloLens. This HoloLens brings high-definition holograms to life in your world, where they integrate with your physical places, spaces, and things. This sound like a Hollywood scent fiction movie but today the technology exist to develop something like this. 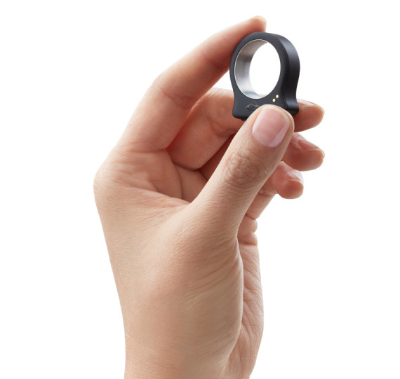 It uses advanced sensors, a high-definition 3D optical head-mounted display, and spatial sound to allow for augmented reality applications, with a natural user interface that the user interacts with through gaze, voice, and hand gestures. HoloLens will give life to a wide range of applications, from personal communications prototyping up to explore the surface of Mars, and Microsoft ensures that your product will arrive on the market at the same time of Windows 10, at the end of 2015, begin of 2016. Of course there is another product (or prototypes) related with gesture control, like Nod, with is a Bluetooth-enabled ring that makes it possible to control connected devices with a wave of your hand. But gesture control devices are a big new area of interest among hardware startups and this new products will continue appearing. The next step will be to incorporate this technology in our watches (like Kreyos) or cloths.